Hello Everyone. My name is May Micla. I am honoured to be given the opportunity to share my experiences both as a student at Stenberg and an employee of Semiahmoo House Society. My story with Stenberg started 8 years ago when I decided I wanted a fulfilling and meaningful career. As a new immigrant, I didn’t know what to do. I did have my Bachelor’s degree from the Philippines, however, in order for my education to be at the same level as a Canadian graduate, I would need to go to school again. When I made an appointment with a counselor at Stenberg, I was pretty scared and apprehensive. I thought, “school again”? I thought I was done with school but I said to myself, it wouldn’t hurt to go to the appointment. I could still say no if I decided I didn’t want to attend school again. She was very accommodating, answered my questions and never once made me feel she was in a hurry to get me out of her office. We talked about what the program is all about and let’s just say that Stenberg helped me from the beginning to the end of my stay with them. I was assisted in applying for my student loan, which I didn’t have any idea about. She helped me with my paperwork, I would call if I had questions and I would have answers right away. When school started, we were introduced to our awesome instructor, Evelyn, who is very knowledgeable and was very patient with all our questions and queries. I was given a good foundation on the knowledge I needed to have in order to be successful. I had so much fun going to school and I believe our class was the best. I developed life-long friendships. I would say the best part of my time at Stenberg, was doing our practicum. I enjoyed all 3 of them. Of course, doing my practicum at Semiahmoo was the best one. Just before graduation, we had to go back and prepare our resumes and application letters under the guidance of the Career counselor. It was just awesome. Stenberg didn’t stop helping us. I was so impressed that they also gave me suggestions as to potential employers. After graduation, I kept getting calls from the career counselor inquiring if I had gotten a job and they just kept following up until one day I finally said, “I got hired!” As far as I’m concerned, Stenberg went above and beyond their call of duty… they didn’t just pat me on the back and say goodbye after I graduated, they continued to check in until I was able to tell them that I had gotten a job. I am very proud to be a Stenberg graduate. 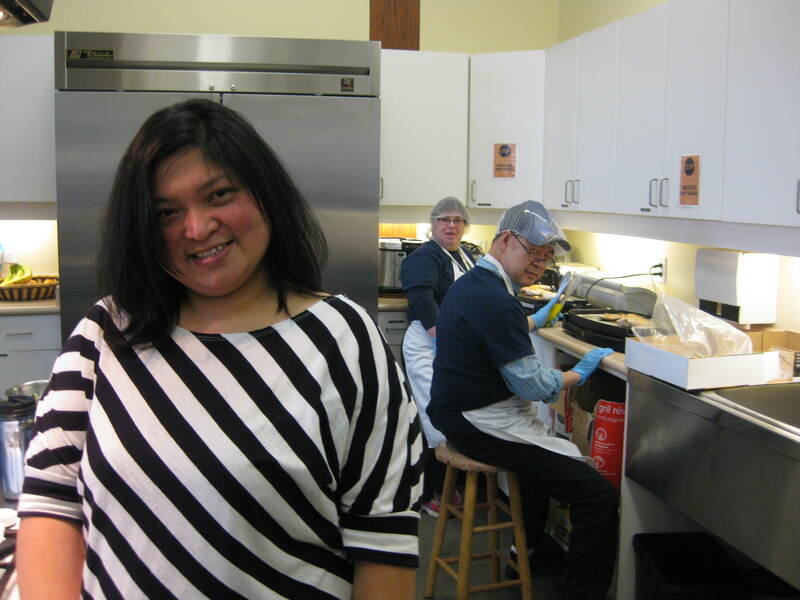 One of my practicum placements was with Semiahmoo House Society. I felt really nervous coming in on my first day, I didn’t know what to expect. That feeling went away after staff and the people supported made me feel welcome. Everybody was so nice and so accommodating. They were all friendly and it made me feel at ease. When I got a full time position, I was terrified because I hadn’t worked for very long in the field or with the company, and I didn’t know if I could meet the expectations and responsibilities of a full time staff. I’m not going to lie, it was difficult in the beginning. But working at Semiahmoo made it a lot easier, all the staff work as a team and I was able to ask questions and get clarification whenever needed. Everybody is always willing to help. Our manager always makes herself available for any inquiries or just chatting about how our day is going. The people we support are awesome. We have a lot of fun with them. There are challenges but we are able to overcome them. I am truly blessed to have been given the opportunity to work with the staff and people we support at Semiahmoo. One of the wonderful people we support is Larry. Larry is with us in the kitchen every Thursday and he helps out in prepping and cooking for hot lunch on that day. 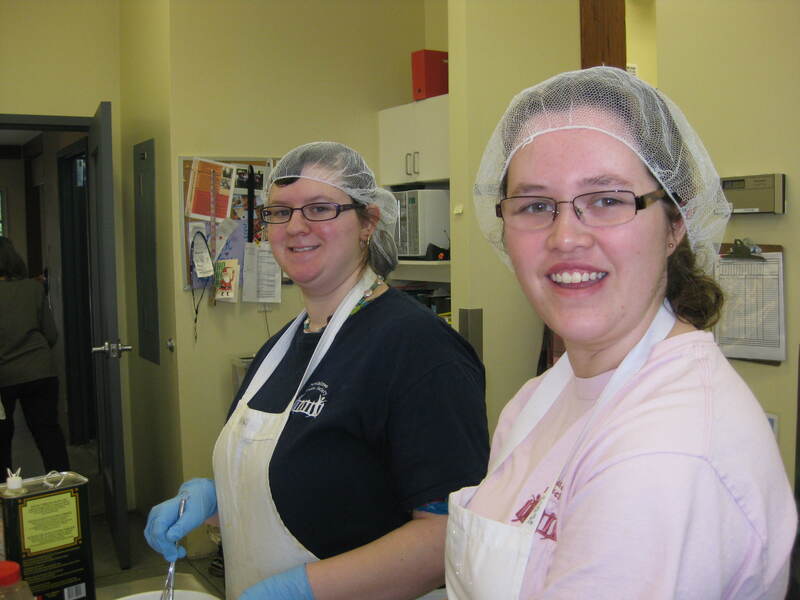 I run the Food Services program with Tara, a Stenberg graduate as well and we do a variety of catering events, both internal and external. We usually start our day with a team meeting going through our code of conduct then we assign jobs. Our role is to supervise but we lead by example. Most of the people we support are highly skilled and can work on their own. Our goal is to train them to be able to get a job out in the community. 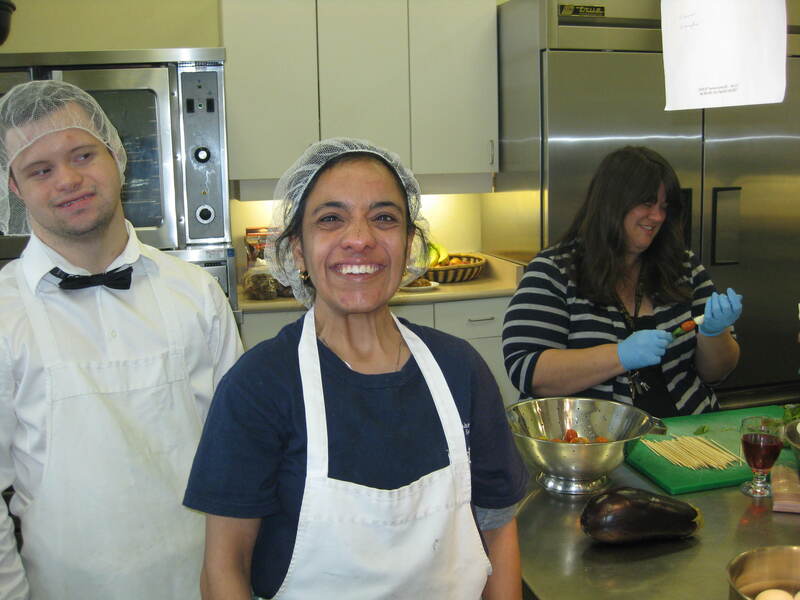 We have had a few who were given the chance to work at Cobb’s, Choices and at a Café by Crescent Beach. It is so rewarding to see them succeed. We have an awesome crew and I can say we have fun at work. I consider Semiahmoo my home away from home, we are a family here. Thank you everyone for letting me share my experiences with you. This entry was posted in Blogs by Louise Tremblay, Employment, Training and Support, Staff Features, Uncategorized and tagged developmental disabilities, education, support workers by The Semiahmoo Foundation. Bookmark the permalink.